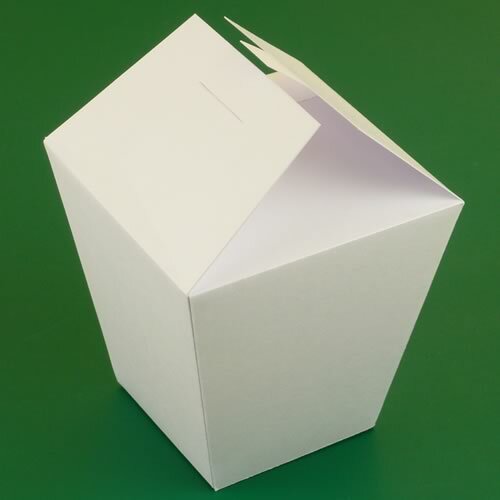 Make your own Chinese take out box with my free printable templates. 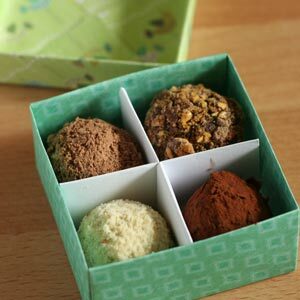 Download the patterns in three different sizes (mini, medium, large) and follow my easy step by step instructions to make your takeout-style gift box. 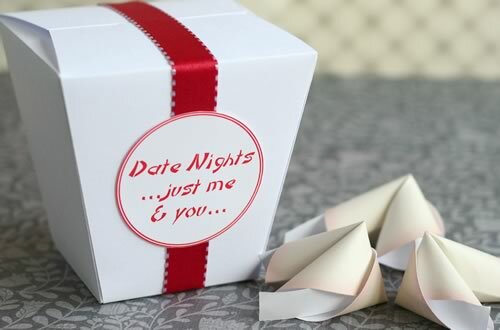 A Chinese take out box makes a fun way to wrap a gift. 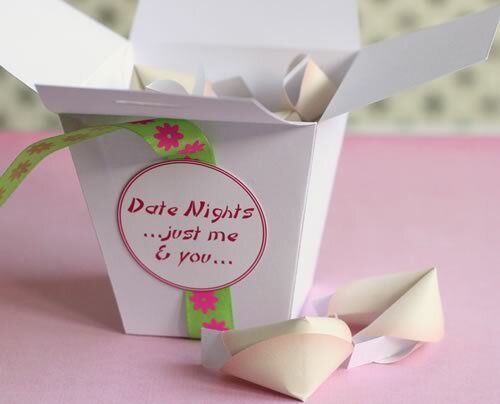 Tobias and I came up with these templates when we were working on the date night fortune cookies gift, which is where you give your sweetheart a box full of origami fortune cookies and each fortune is date for you to go on together (photos below). 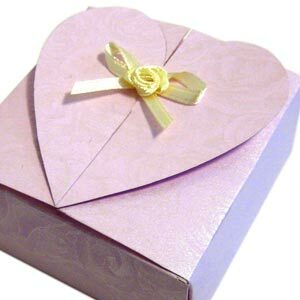 But you could equally well use these take out gift boxes for other types of gifts like real cookies, or homemade soaps , or whatever it is that you'd like to give. There are three sizes of Chinese takeout box for you to choose from: large, medium, and mini. You can download the templates below. You can download my Chinese takeout container templates as pdf files to print from your home printer. 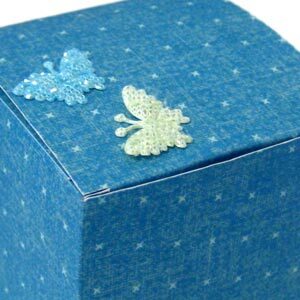 It's best to print the box onto cardstock or matte photo paper. Regular office paper is a bit too floppy. The other thing you can do is print onto regular office paper and then trace onto card stock. 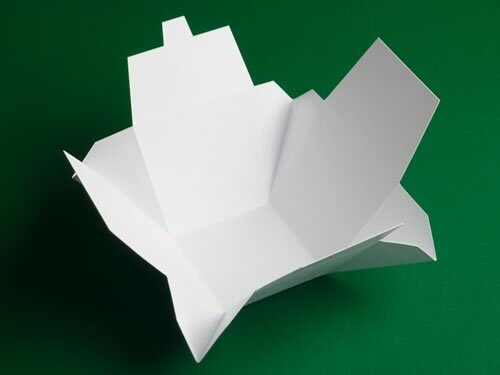 Once you've printed the template, see below for how to assemble your Chinese take out box. 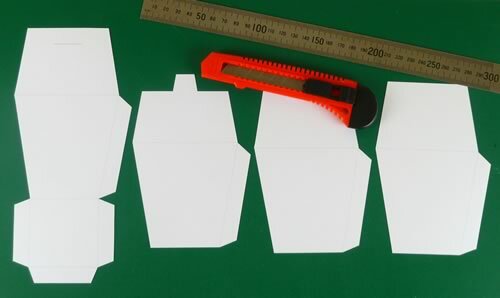 Use a ruler and a craft knife (or just scissors) to cut out all the pieces of the takeout box template. One of the pieces (far left in photo below) has a slot in it which you should also cut. 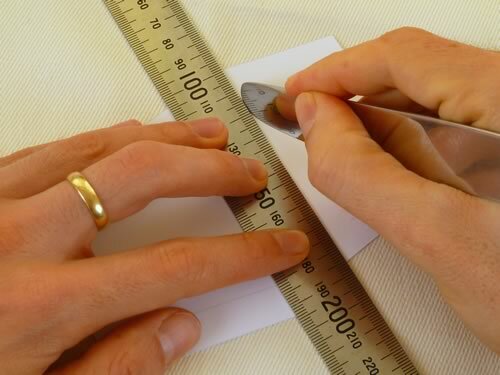 Score along the lines with a ruler and a butter knife, or use a scoring tool if you have one. It helps to work on a soft surface when you're scoring - I like to lay out a tea towel on the table and work on top of that. Scoring the lines makes it easy to fold the box into shape. 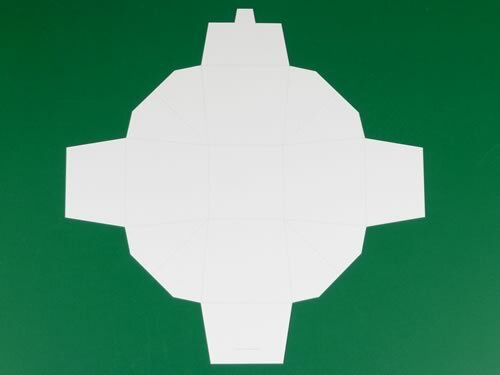 Find the piece of the template that looks like the photo below, and apply glue or double sided tape to the tabs. A glue stick works fine. 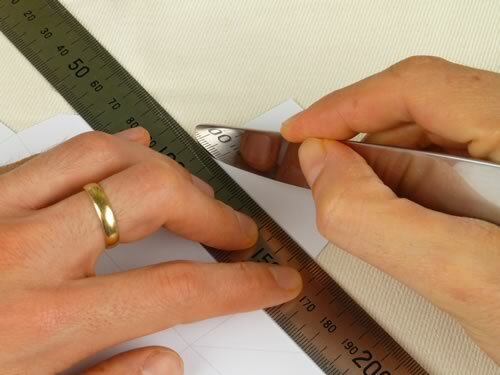 Attach the other pieces of the template to the tabs. 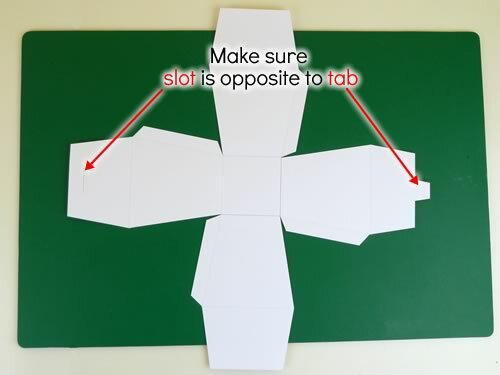 Make sure that the piece with the tab goes opposite the piece with the slot. Also, make sure that all the pieces are printed-side up. Apply glue or double sided tape to the four tabs shown below. 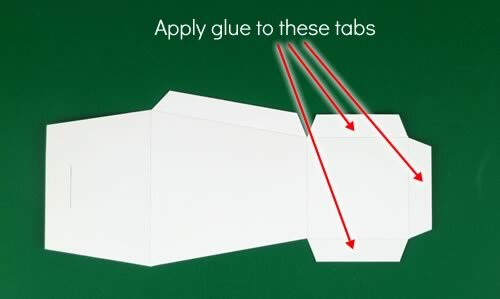 Lift up the sides of the box and use the tabs to attach each side to the next. Here's the finished box. Tadaa! 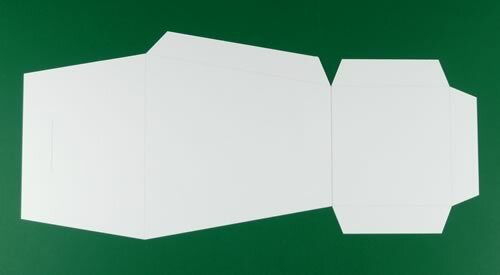 Cut out the takeout box template. 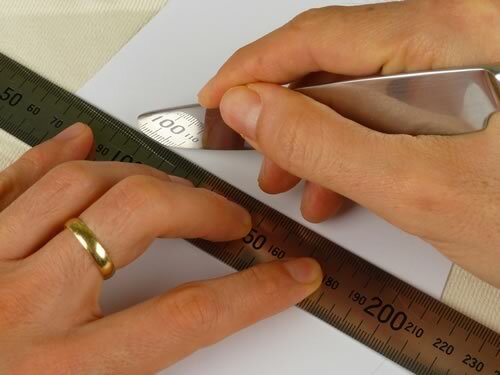 Score along the printed lines using a butter knife and a ruler, or a scoring tool if you own one. I find it helps to work on a soft surface, like a tea towel spread on the table. Scoring the lines will make it easy to fold the box into shape. Bend up the four sides of the template into a bowl shape like this. The "bowl" will have flaps that protrude outward at each of the four corners. 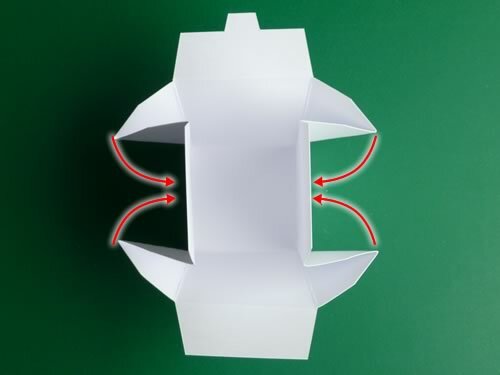 Take hold of the flaps at the four corners of the box and bend them around the left and right sides like this. 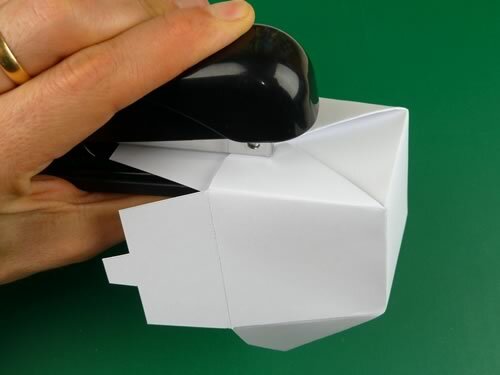 Staple the flaps to the sides of the box. Or you can glue them instead. I prefer to staple them because it's quicker. Here's the finished mini take out box. Perfect for wrapping a little treat! Cut out all the pieces of the large takeout box template. Score along the printed lines with a butter knife or a scoring tool if you own one. It helps to work on a soft surface when you score, e.g. on tea towel. 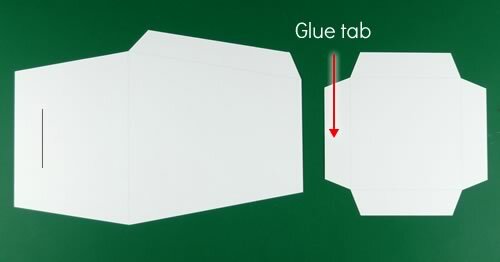 Glue the piece with a slot (left) onto the piece with four tabs (right). 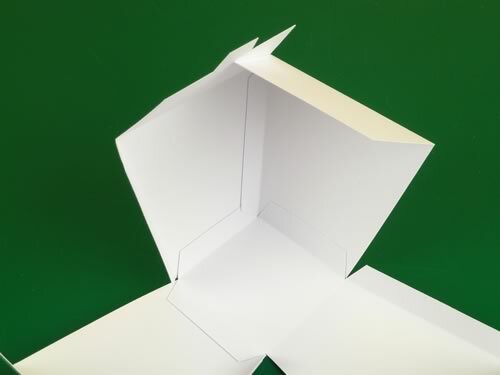 The rest of the assembly is the same as for the medium box template: continue here .